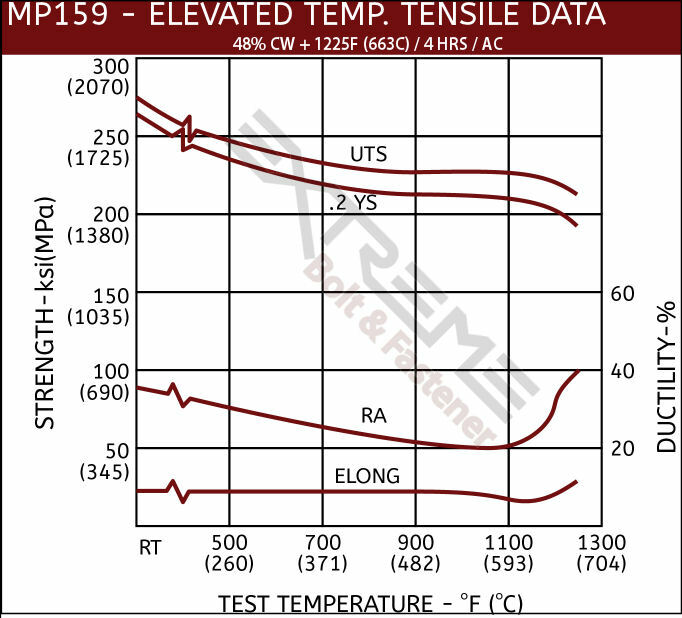 Extreme high strength properties up to 275 ksi ultimate tensile. Maintains superior strength to 1100°F. As aerospace engineering advances, so must the materials to meet the technological requirements of this industry. Studs made from MP159 have been developed to provide a solution to high temperature, high strength components. 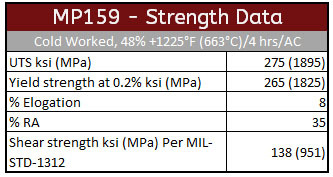 MP159 studs offer strength capabilities similar to other Cobalt Alloys (MP35N) but can be used at much higher temperatures - up to 1100°F, compared to MP35N’s usable limit of 800F. 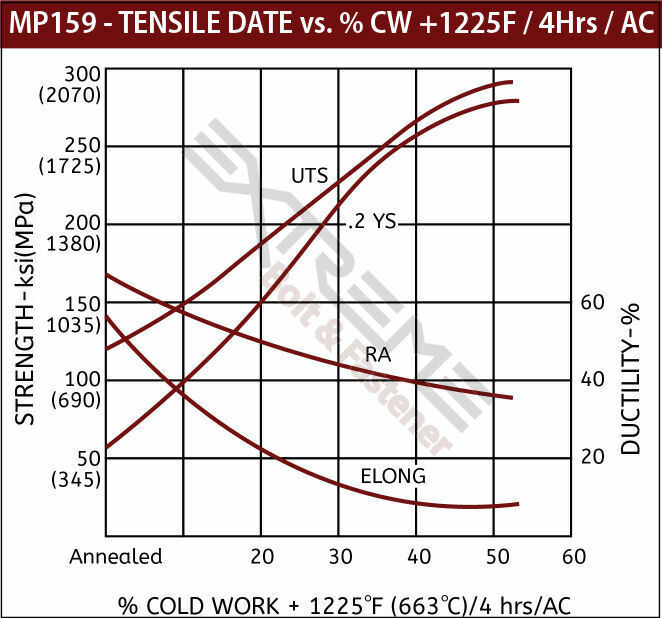 In addition, MP159 studs can be used beyond 1100°F in short term situations. Similar corrosion resistance compared to MP35N which is usable in mineral acids, hydrogen sulfide, seawater and salt spray environments. The aerospace industry relies on MP159 studs for its most advanced gas turbine and jet engines, rocket boosters and jet propulsion systems. Power generation and chemical processing utilize MP159 studs for applications that demand high strength at extreme temperatures.